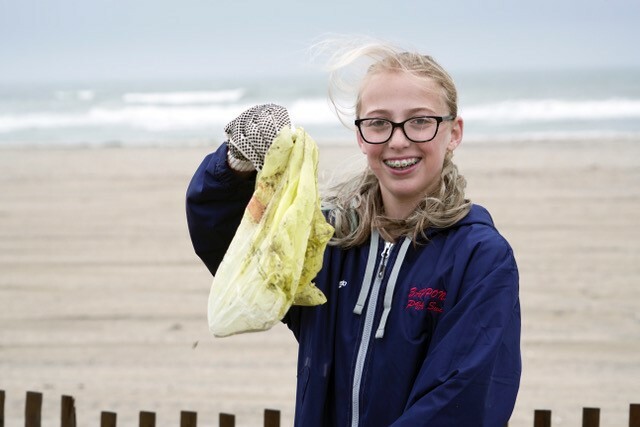 Photos by Steve Jasiecki/Plastic bags, a constant nuisance, are all to commonly found on the beaches. 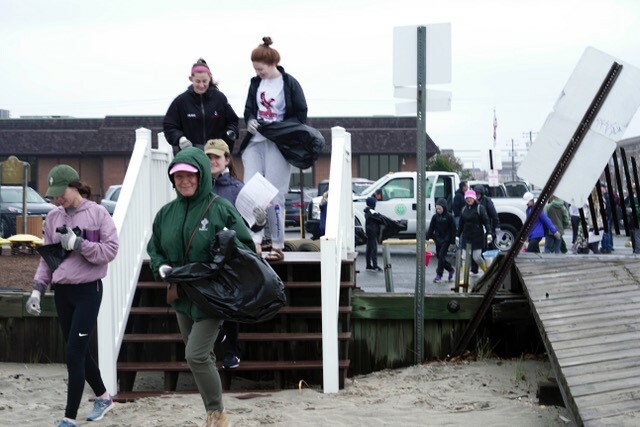 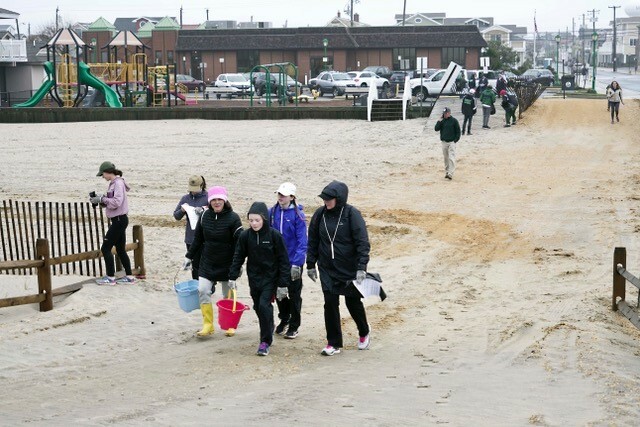 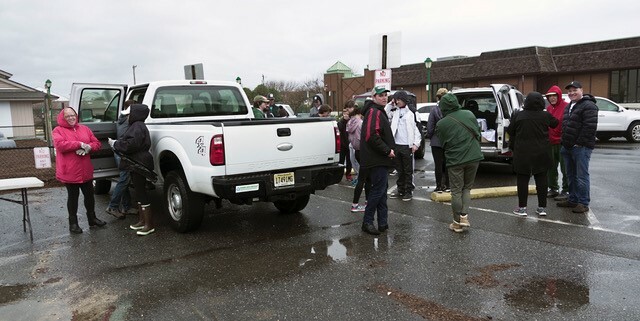 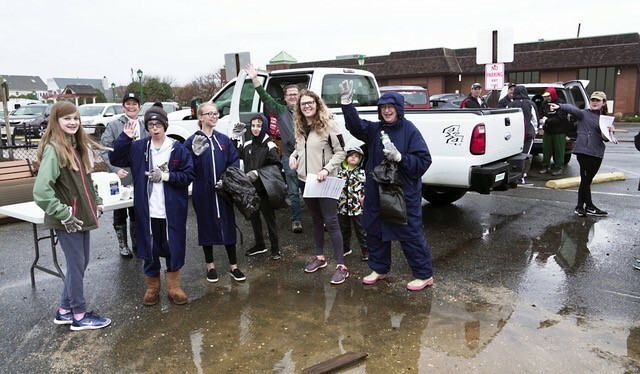 MARGATE – Gray skies and a little rain did not deter volunteers from going to the beach Saturday to partake in the biannual Clean Ocean Action Beach sweep. 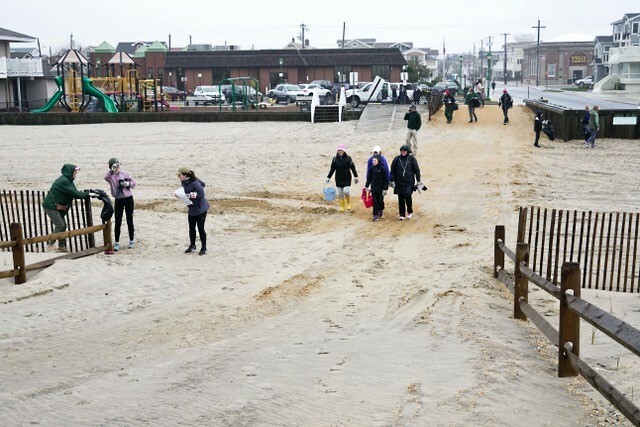 The staging area for Margate was at the Granville Avenue beach just behind the library. 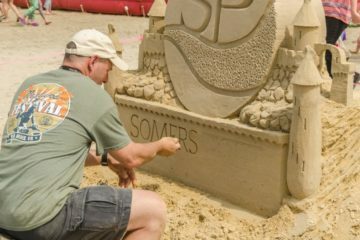 About 75 people showed up to hit the sands to collect and remove litter. 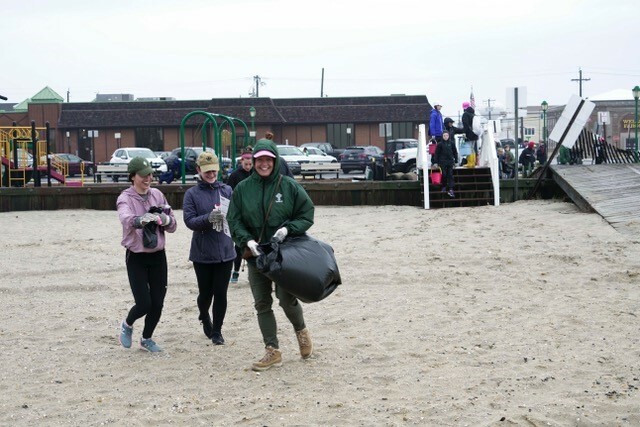 Mayor Michael Becker and Commissioner John Amodeo were on hand to make sure the beach cleanup got off to a good start. 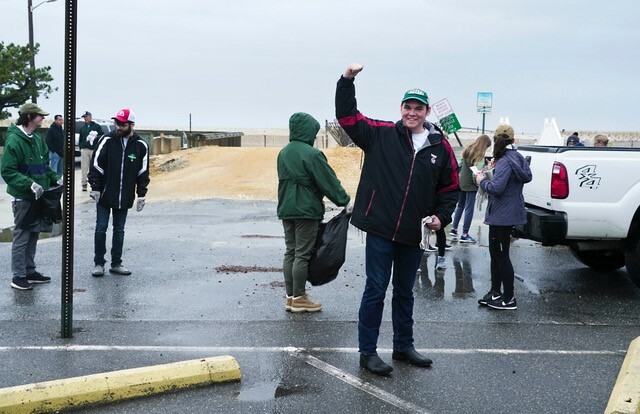 Anthony Edge of the Public Works Department distributed gloves, trash bags and tally cards before volunteers went on their mission to rid the beach of litter. 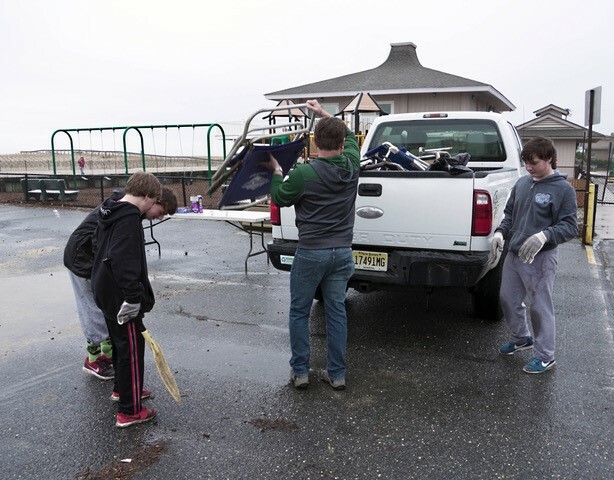 Clean Ocean Action uses the tally cards to document the amount and types of trash found on the beach. 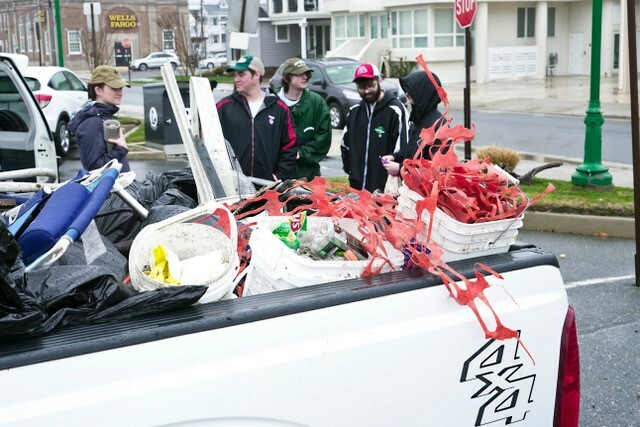 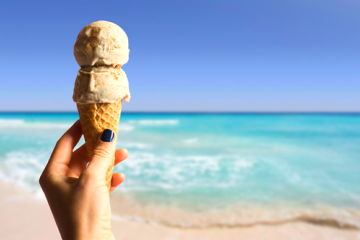 The information gathered provides a database that can be used to promote solutions to littering and pass legislation to curb the amount of refuse that collects on the beach or enters the ocean. 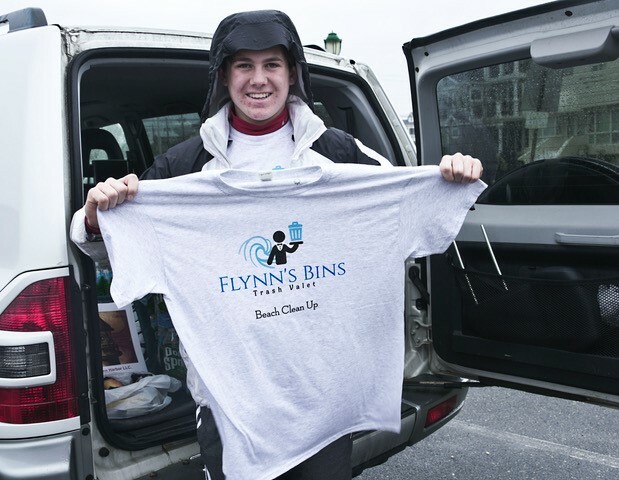 The City of Margate and Flynn’s Bins, a local valet trash service, co-sponsored the event. 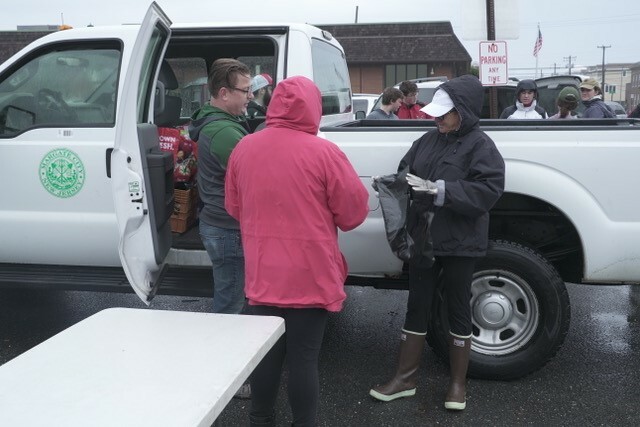 In addition to providing support for the volunteers, the sponsors provided water and pretzels upon their return. 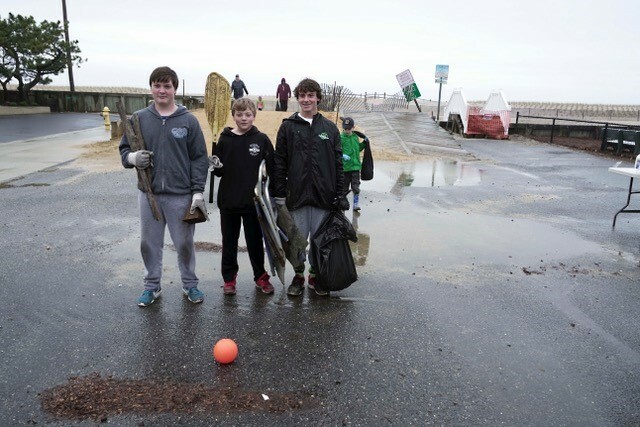 Even though the beach seemed relatively clean before the crews went out, there was plenty of trash to be found. 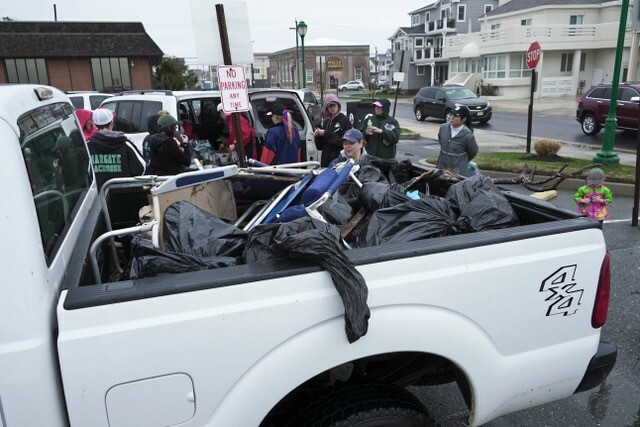 Within a few hours, returning volunteers filled the back of a Public Works truck with their bags of trash. 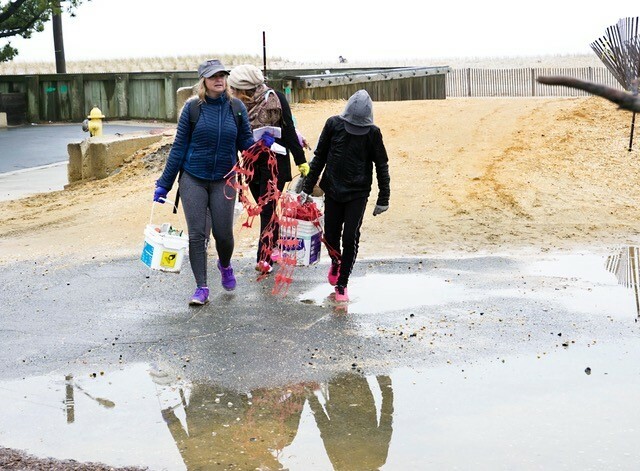 Most of the items found were typical for a beach sweep, consisting mostly of plastic bags, water bottles, food wrappers, cigarette butts and balloons. 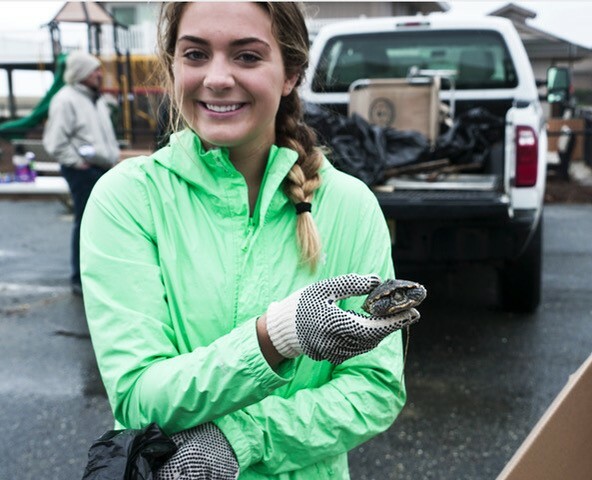 Some of the more unusual finds were a piece of shark cartilage, circuit breaker and a small terrapin that lost its way. 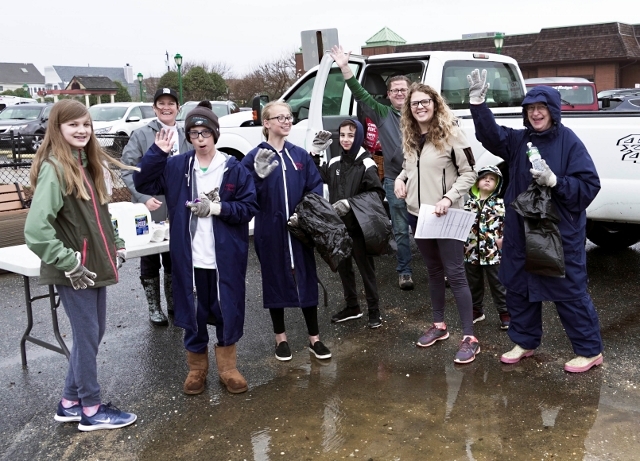 Volunteers returned to the Granville Avenue sandy and wet, but in high spirits knowing that they made a positive impact for the beach and ocean and that they left the world a little cleaner.